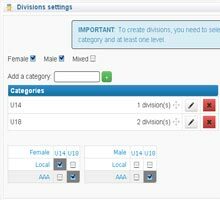 With a simple click, you can lock specifics sections of your tournament or league, preventing changes or alteration at your work. By doing so, the other member can still look at the league or tournament but cant applies any changes. 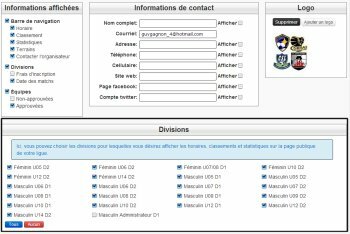 Set your division as public to become visible on the public page to attract new members, managers or fans! Get your division back to private and close the door to recruiting. 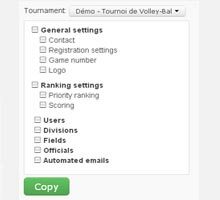 In a single screen, modify your name, sport, location, means of contact, logo and even the order in which the game numbers will be created! 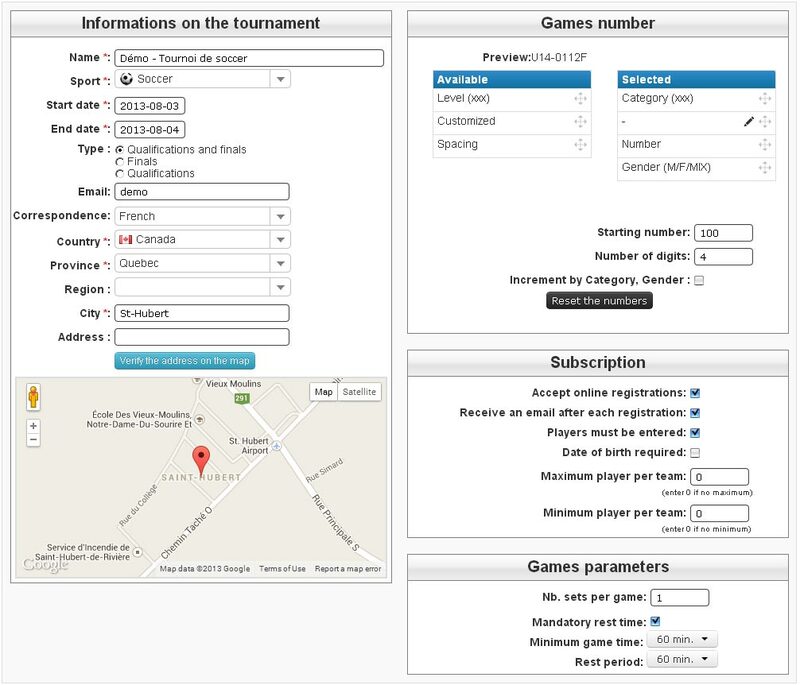 Display the customized informations of your tournament! Using our " drag and drop " system, your settings will be ready within seconds! 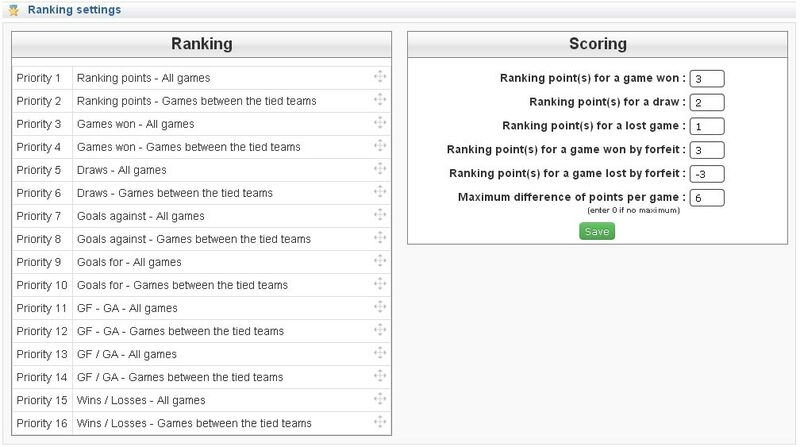 Define your score parameters: point for a victory, for a draw, defeat and more! 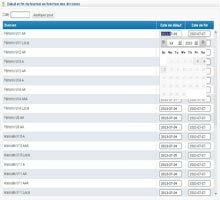 Create your categories and classes easily! Then select the division you want to create and voila! 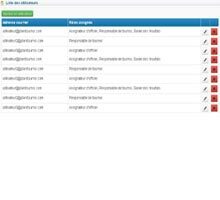 Using our "drag and drop" system, in a few minutes you can order or re-order your categories and your classes! For each division, you can decide to start later or end earlier the tournament. Everything is fast, easy and without mishap! 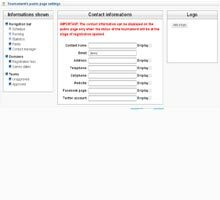 Speed up the process by using our group function application! 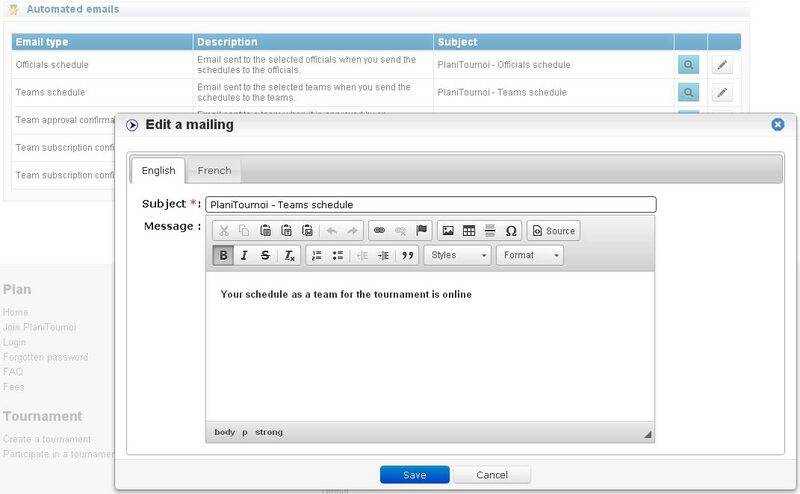 Configure the maximum number of teams for each division. 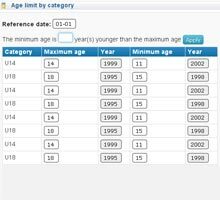 Determine the minimum and maximum age allowed for each division. 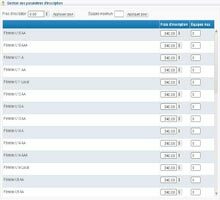 Articles are visible in public part of the website, to inform the public about the tournament. Using our "drag and drop" system, you can easily change the order of your news feed. Add a file to your articles for more information! With one click, hide your articles to the public! Write a custom message for each automated email. One or more roles may be applied to a user. 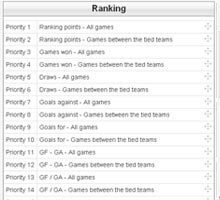 It is very easy to copy information from one tournament / league to another, using only one specific feature. Choose the source tournament / league, check the information you want to copy, and confirm!